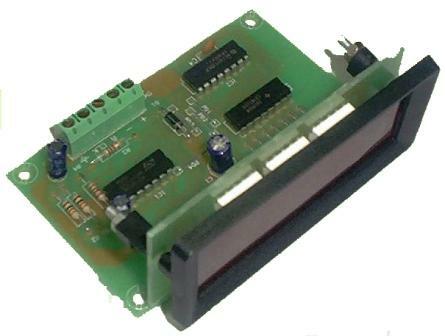 Cebek CD-1 module is a 3-digit standard counter. It counts up from 0 to 999 when it receives impulses from a closing contact on the signal input like a push button or switch or injecting an external signal (12VDC). The module also has a reset signal input, which allows you to reset the count.